To be diagnosed with Cancer can be devastating. But what can you do to begin to help yourself? Emma Roberts is an EFT Master, she is the author of the book, Even though I have Cancer. She has extensive experience working in the area of providing support whilst a person is undergoing cancer treatment. In this podcast I had the opportunity to ask Emma about her work with cancer helping people deal with the emotional aspects of this problem. 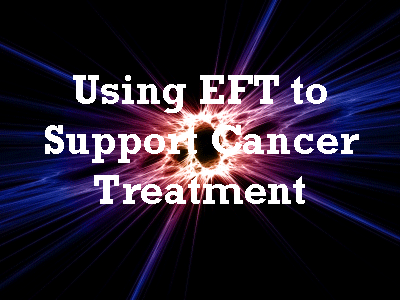 During the interview we talked about how EFT can help with the side effects of conventional treatments, for example nausea after chemotherapy. How she has even used it to stop veins collapsing after they have repeatedly had needles stuck into them. We talk about the key emotional traumas that you need to deal with to begin to turn off the fight or flight response.